July 5, 2012 - The French Civil Aviation Safety Investigation Authority, the Bureau of Enquiry and Analysis for Civil Aviation Safety (BEA) released its final report on Air France Flight 447 (AF447) that crashed on June 1, 2009, killing all 228 people aboard over the Atlantic Ocean. Flight 447 had departed on Sunday, May 31, 2009, at 6:30 PM, from Galeao International Airport in Rio de Janeiro, Brazil for Charles de Gaulle International Airport in Paris, France, onboard the Airbus A330-200 were 216 passengers and 12 crew Airbus A330-200. The last verbal communication by pilots to air traffic controllers was three hours into their flight. The pilots reported to Brazilian air traffic control that they were experiencing extremely heavy turbulence and Flight 447 was in an electrical storm. 14 minutes later the aircraft automatic messaging systems alerted air traffic control officials of a loss in cabin pressure and an electrical system malfunction. Air France Flight 447 accident was the deadliest in the history of Air France and has been described as the worst accident in French aviation history. It was the second fatal accident involving an Airbus A330 and, to date is also the deadliest. In May 2011 investigators located the wreckage site and the aircrafts black boxes on the ocean floor. 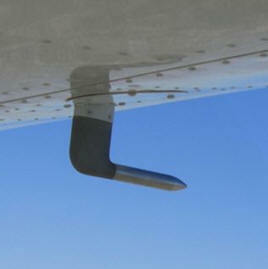 The obstruction of the Pitot probes by ice crystals during cruise was a phenomenon that was known but misunderstood by the aviation community at the time of the accident. From an operational perspective, the total loss of airspeed information that resulted from this was a failure that was classified in the safety model. After initial reactions that depend upon basic airmanship, it was expected that it would be rapidly diagnosed by pilots and managed where necessary by precautionary measures on the pitch attitude and the thrust, as indicated in the associated procedure. The occurrence of the failure in the context of flight in cruise completely surprised the pilots of flight AF 447. The apparent difficulties with airplane handling at high altitude in turbulence led to excessive handling inputs in roll and a sharp nose-up input by the PF. The destabilization that resulted from the climbing flight path and the evolution in the pitch attitude and vertical speed was added to the erroneous airspeed indications and ECAM messages, which did not help with the diagnosis. The crew, progressively becoming de-structured, likely never understood that it was faced with a “simple” loss of three sources of airspeed information. In the minute that followed the autopilot disconnection, the failure of the attempts to understand the situation and the de-structuring of crew cooperation fed on each other until the total loss of cognitive control of the situation. The underlying behavioral hypotheses in classifying the loss of airspeed information as “major” were not validated in the context of this accident. The airplane went into a sustained stall, signaled by the stall warning and strong buffet. Despite these persistent symptoms, the crew never understood that they were stalling and consequently never applied a recovery maneuver. The combination of the ergonomics of the warning design, the conditions in which airline pilots are trained and exposed to stalls during their professional training and the process of recurrent training does not generate the expected behavior in any acceptable reliable way. In its current form, recognizing the stall warning, even associated with buffet, supposes that the crew accords a minimum level of “legitimacy” to it. This then supposes sufficient previous experience of stalls, a minimum of cognitive availability and understanding of the situation, knowledge of the airplane (and its protection modes) and its flight physics. An examination of the current training for airline pilots does not, in general, provide convincing indications of the building and maintenance of the associated skills. - The difficulty in recognizing and understanding the implications of a reconfiguration in alternate law with no angle of attack protection.